If you’ve hunted around the Web and found the Android Open Source Project, then you’d likely be in the batch of people who think that Android is indeed based on open source software. Technically Android is open source, but Google also blocks it off so the official updates you get cannot be further modified. What can happen though is that developers get their hands on the open source code that is Android’s foundation and then have a play with it. When the highest quality third-party developers out there do that they can come up with some outstanding custom software, that can be installed as custom ROMs. Every device out there ships with the Android stock ROM, known as Google Android, and the stock ROM can always be swapped over for a custom ROM, based on the Android Open Source project, if the owner of the device should choose to do so. The number of custom ROMs available to be flashed varies from device to device, so you’ll need to head to the XDA-Developers thread to check them out to see what’s available for yours. But as a general rule of thumb, if you’re interested in having a device that gets lots of custom ROMs developed for it, the better a device sells, the more likely it is to get plenty of ROMs to choose from. 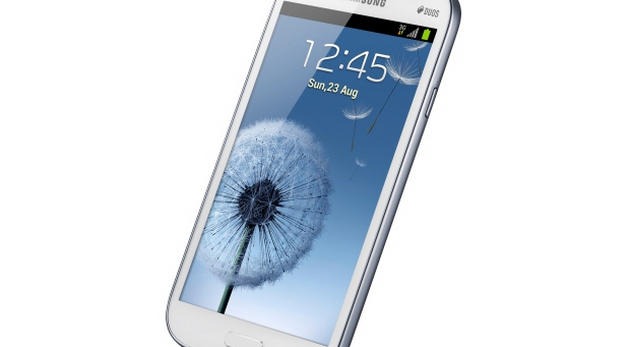 The custom recovery images available in this guide are only to be installed on the Samsung Galaxy Grand Duos smartphone. Most devices have a custom recovery image developed specifically for it, and you shouldn’t install one that is intended for another device unless advised it is okay by a professional. The codename for the Samsung Galaxy Grand Duos TWRP Recovery image is “i9082.” You will see that codename in the TWRP image file path and also from your About Device menu so you know you are flashing the right file on the right device. The custom recovery will now have replaced the stock recovery, and you are ready to boot your device into the recovery mode and start using it. Most of the custom ROMs you’ll find available from the XDA-Developers web forum where each device has its own development section and custom software listed. If you weren’t swapping the recovery partition for ROMs, then you might be thinking about getting root access with SuperSU instead. You flash both ROMs and rooting files the same way, which is by tapping on the “Install” button from the main recovery screen. Not a lot can go wrong with your time with the custom recovery, although one of the rare things that can happen just might: a message letting you know that “No OS is installed!.” If you see this message, it means that you’ve somehow managed to wipe the system partition, and that’s not ideal if you understand the way a custom recovery works. But it also shouldn’t be the end of the world just yet either, as there are ways you can solve this problem. The first thing you should do if you see it is restore the backup that you’ve taken from the custom recovery image. If you didn’t take any backups, try flashing a stock ROM instead. The sources for official firmware can vary online and not all manufacturers provide direct links. There’s nothing wrong with using a link coming from blogs, but just make sure you scan the files for viruses first. The reason for a wipe of the system partition never being ideal is that if you do have to flash a stock ROM to get your operating system back, you could experience unexpected behavior on all software that you try running from here on out. When you install OTA updates, as in official software updates, you are installing what is most likely a differential update: one that doesn’t go through the system partition at all and often won’t even completely replace the files either, rather just patching over the top of the existing ones. It’s a good thing for those among you who love to save data, but not if you have installed a custom recovery. Getting root access, installing BusyBox, or removing the stock applications are a few examples of what people do from custom recovery images and that will make modifications to the system partition. Once changes have been made to the system partition, going back to official ROMs that don’t operate through it can be risky, and that’s when the unexpected behavior can happen. The custom recovery developers suggest that if you want to update your version of Android, and you already have a custom recovery installed, then you should check out custom ROMs to update to instead of official updates. That way you know your device stays safe. The custom ROM updates can often come out for devices before the official versions do, and at worst, it’ll only be a few days later than an official update for the best-served devices. But if you are hell-bent on settling for nothing less than the stock recovery image back on your device, there are a couple of ways you can go about doing it. And no, it doesn’t necessarily mean there will be anything wrong with your device after doing it; there is just a chance—no one knows really how much—of experiencing unexpected behavior with the software. To just change recoveries and nothing else, find the stock ROM zip file, unpack it and then flash the recovery image file found inside by using the flashing tool made for your manufacturer ((in this case Odin for Samsung devices). If you aren’t fussed, you can also just flash the complete firmware package, because when you do, the custom recovery is replaced by the stock recovery normally anyway.